This week we introduce the our first “real” shamanic technique, Boekhgeen Khengreg. Its not about banging the drum and entering into a so-called trance like most people think. If you want to know how its really used, listen to the episode right now. This is where shamanic technique begins for real. 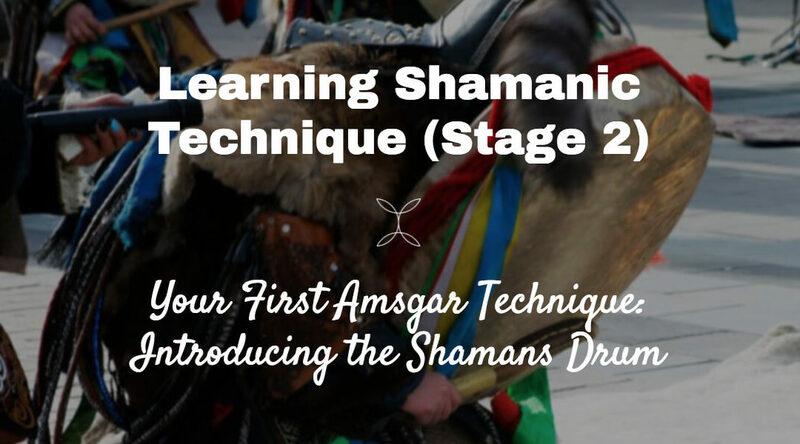 Before diving into stage two, its important to make sure you have gone through stage one of learning shamanism. Chalicity. Chalicity is your protection against the miasma, against delusion and imagination. Without a solid foundation of Chalicity these techniques don’t mean anything. Its also why there is so much misunderstanding regarding shamanism. Its experiential. Only you will know if your shamanism means anything. Chalicity is your tool to know whether its real, or delusion. This technique uses a drum. We also go into some of the background to drum use in Shamanism in general, including how to hold the drum in the Havtas position. See the image below to see exactly what the Havtas position is when holding the drum. A few points to bear in mind when buying a drum as someone just starting out in Shamanism. The pattern or painting on the drum doesn’t matter. There is some awesome artwork available on shamanic drums. This is great, but its not necessary for Shamanic technique at this stage. Its important that the drum doesn’t smell bad. Even better is if the drum has a good smell. Listen to the episode to find out why. Its important that the back on the drum has the layout shown in the picture above. Or at the very least a cross in the middle. 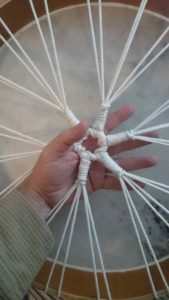 This is to ensure usage of the Havtas position and ensures you don’t drop the drum when we come onto more advanced techniques. Enjoy the episode. I’m so excited for you all. This is really, truly where Shamanism begins for real.